You can now have Studiometry automatically fix any duplicate client or project ID numbers. Previously, you would have to access the server and confirm that you wanted changes to be made. With the new setting, Studiometry can now immediately fix any updates it finds while periodically checking for duplicate ID numbers. To enable this setting, go to the Preferences Window > ID Numbering section and under Identical IDs select Automatically Fix. 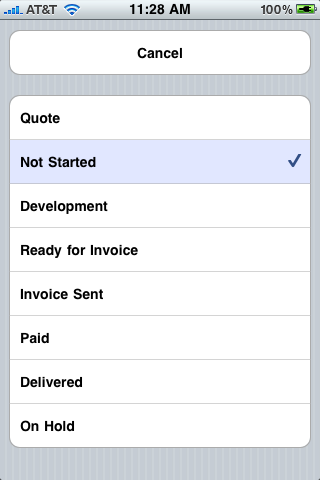 You can now once again choose a specific project when applying payments. In recent versions, due to the new split-payment ability allowing you to apply payments to multiple invoices, Studiometry would automatically calculate the highest paid project and associate the payment with it. We’ve had several requests to give the power back to the user to manually choose an associated project, and we’re happy to say that ability is now in Studiometry 7.1.2. There are also several other updates and fixes in this version. We have upgrades available from 6.x for $59.95 USD, and upgrades available from older versions for $99.95 USD. We’ve had many users ask if there is any chance of Studiometry coming to the iPad in an “HD” or “for iPad” version. Here’s the good news: we’ve been working on Studiometry Touch for the iPad for a while now and we expect to release it to the app store soon. Studiometry Touch will be a universal application, meaning that the same application can be run on an iPad, iPhone, and iPod Touch. 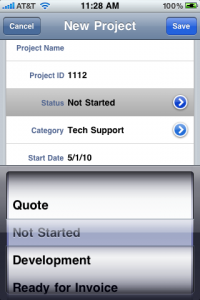 Your existing serial number can be used to sync Studiometry Touch with the iPad version, but the same limits remain of one device per serial number. You will not need to re-purchase anything or pay for an HD/iPad version if you’re already using the current version of Studiometry Touch on an iPad as a zoomed in iPhone application. Other than that, we will have some screenshots available soon and we hope to have the final app in the store and in your hands (or maybe more appropriately, in your laps) very soon! 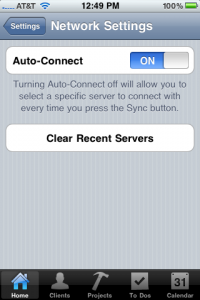 If you don’t often change locations or IP address when syncing from Studiometry Touch to Studiometry, you can enable to Auto-Sync feature to make the syncing much “quicker.” To do this, go to Studiometry Touch’s Settings > Network Settings section and turn on Auto-Connect. When this is enabled, Studiometry Touch will automatically connect to the most recent server and take one step out of syncing with Studiometry. This means you just hit Sync and the syncing window will popup, sync, and then disappear without any user interaction required. 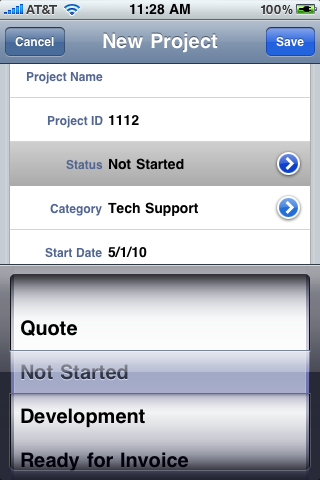 Studiometry Touch gives you a couple of ways to select an item from a list of items, such as Project Statuses. The first way you can select from a list while editing a Project is to tap on the row to “select” the row and bring up the selector view giving you all of the elements on the list. This gives you quick and convenient way to flip through the available statuses and quickly select a status without having to go to a separate view. This works great until your lists get too large or if you simply want more space to view the available items in the list. If you’d like to bring up a full-window view of all of the items in this list, you can simply tap the disclosure indicator (the blue circle with the white arrow in it) to bring up a new window showing all of the items in the list. Here you can select any item and then you will be brought back to the editing view with the new item selected. 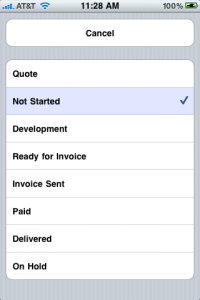 This is a common interface element in Studiometry, used to select Project Categories and Statuses, Client Categories, Debt Categories and Employees, and more. We wanted to give Studiometry Touch an easier way of editing many fields quickly, while still allowing you to use the entire screen if needed. This solution is the best of both worlds.